Just enough sanding and whiskering gives a classic Americana feel to these stretch-denim jeans with a clean, straight cut. 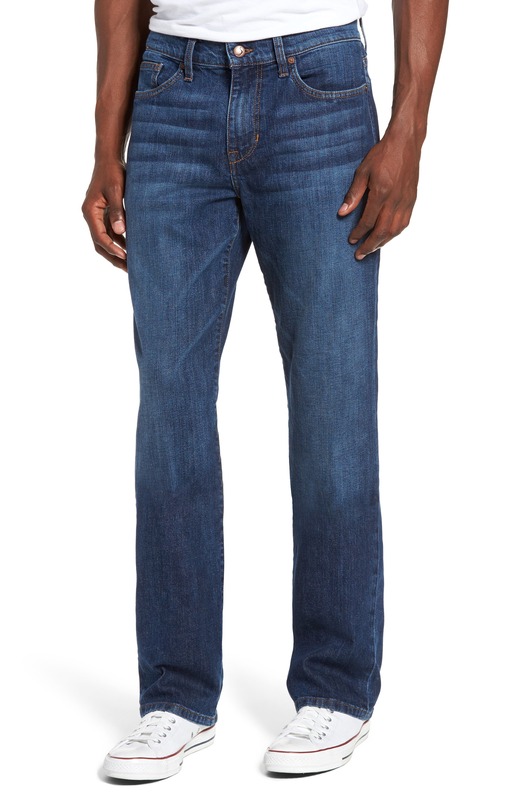 Style Name: Joe's Classic Straight Fit Jeans (Drexler). Style Number: 5361610. Available in stores. Joe's is a personal favorite, and we expect it'll be one of yours soon as well. The fabric seems to get softer and better-fitting with each wash, and the jeans are so well made that they last forever. They are perfect for everyday, but can easily be dressed up - an awesome combo, as far as we're concerned. Nordstrom now offers free shipping. Free returns. All the time.